Pink Polka Dot Books: This Darkness Mine by Mindy McGinnis-- UMMM, What Did I Read?? 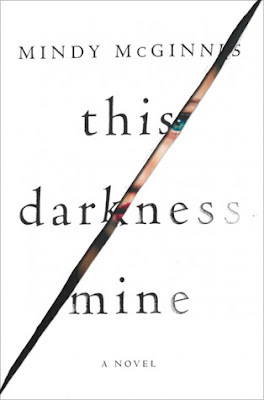 This Darkness Mine by Mindy McGinnis-- UMMM, What Did I Read?? Sasha Stone knows where her life is headed-- she's worked extra hard to ensure it. She's going to graduate valedictorian and get in to Oberlin. Just when it seems she's in the home stretch, Issac Harver happens. Issac isn't the kind of guy that Sasha would give the time of day to. He's a loser, a bad boy-- he's not her picture-perfect, stand-in boyfriend Heath. But for some reason, she keeps having a physical reaction to Issac, and he keeps acting like he knows her better than he should. All this happens as she discovers that she was once a twin before she absorbed her sister in the womb. After this revelation, everything goes haywire and the Sasha Stone that was so carefully crafted over the years, suddenly loses her carefully crafted mind. I want to preface this review by saying that I absolutely LOVED The Female of the Species. The main character in that book was dark, but also kind of relatable (even if she was a sociopath). This Darkness Mine sounded like it was going to be a similar book with an equally dark character, and in a way it was-- but also it was a book that I didn't quite "get". In the beginning, I kind of loved the way Sasha Stone had it all figured out. She had her goals and she knew what she needed to do to achieve them. But soon it became clear that the Sasha Stone that I originally liked/cared about and the real Sasha Stone weren't even living in the same zip code. I think this book would've been great as a short story. It sort of felt like Mindy McGinnis made me read 370 pages just to write one mind-bending paragraph. As a short story, we wouldn't have to wade through everything to get to something that was really very simplistic in the end. I will definitely be reading more Mindy McGinnis-- although this book does give me some pause. It confused the hell out of me, and I'm honestly not sure why this idea was ever given the green light. The fact that someone believes the heart is what controls love?? The total lack of all redeeming qualities of almost all of the characters in the book?? It just didn't make sense. I will say I give props to Mindy for GOING for it and not holding back on the gross, vulgar, or weird. OVERALL: I'm not sure what the purpose of this book was. I think it would've made a mind-bending short story, but as a full-fledged novel, I wasn't sure I understood the point of it. Sasha Stone is one messed-up individual, so if you do decide to read this, you can at least enjoy a character who is super twisty and damaged. Because girl NEEDS to get a dose of some BAD BOY romance and maybe she'll realize it's OKAY to just like who she likes regardless of what people expect of her. This book was crazypants. I liked the overall premise and idea but man, it totally lost me somewhere. I only finished because I wanted to know how it ended. It lost me for good at the puking in someone's mouth/stabbing yourself in the chest scenes. WTF????? If that would've happened earlier in the book, I would've DNF'd. Oh good!! I've barely seen any reviews for this book, so I was super surprised at how out-there it was!! Wow, this sounds totally strange! I haven't read any other reviews on this yet, and maybe this is why? 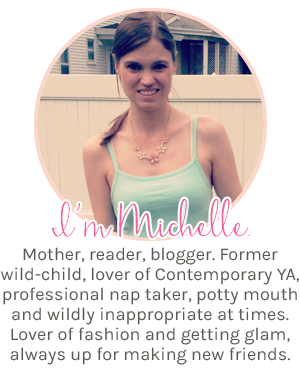 Are bloggers just staying far away from the weirdness? Huh...and yet somehow, I'm still intrigued! I hadn't seen very many reviews either, so I was definitely surprised by how crazy it was. 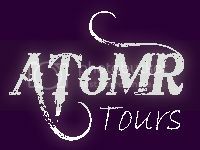 It will definitely keep you entertained if you decide to try it!! THIS BOOK WAS SO WEIRD RIGHT? 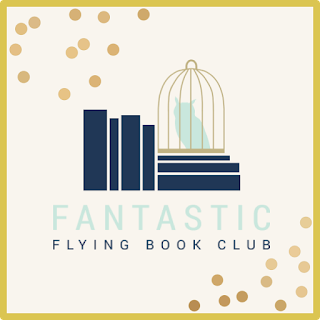 I agree that it would have been a pretty interesting book if it were about 100 pages, that way it could keep you on your toes and we, the readers, wouldn't have to deal with any of that...unpleasantness. It would've been great in some sort of evil characters anthology. As an almost 400 page book, I'm not sure it works. And it was VERY unpleasant. Well I'm pretty sure this book will be a pass for me. LOL! I started this one, haven't finished yet--but now I'm nervous.